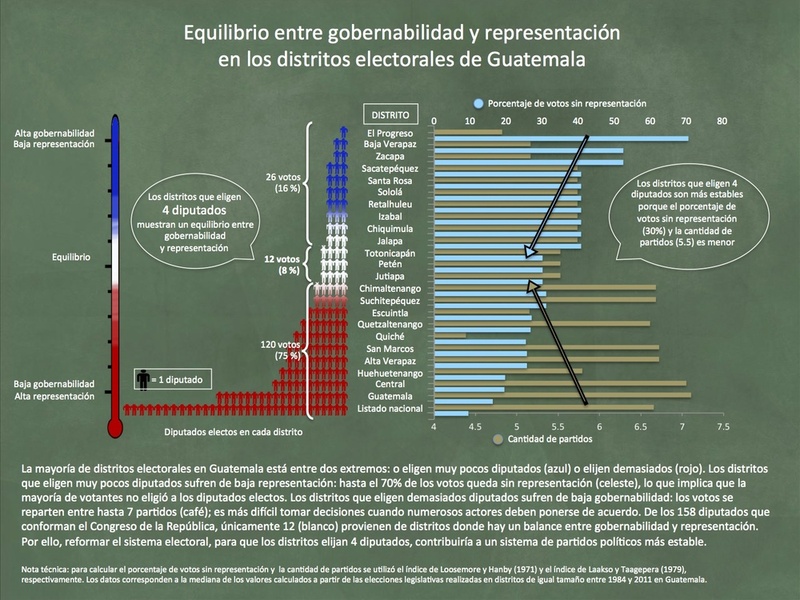 The visualisation was developed to disseminate research findings about the relationship between district magnitude, governance and representation in Guatemala. Districts with magnitude four show a balance between governance and representation, because the effective number of parties and the disproportionality are both relatively low. It is advised that legislators modify district size for a more stable party system, especially because over 75 % of congressmen come form highly fragmented districts, hence governance is in general low. The data was analysed using R, and the visualisations were created in Power Point.